What a FANTASTIC book! I can’t believe it is a debut novel. I couldn’t stop reading it and finished it in one sitting. The author very skillfully switches between past and present, pulling you from one time to the other at just the right moment. This book has everything a great book should have; interesting plot, great characters, romance, mystery and family ties. Another great addition to enjoyable Aussie Fiction. 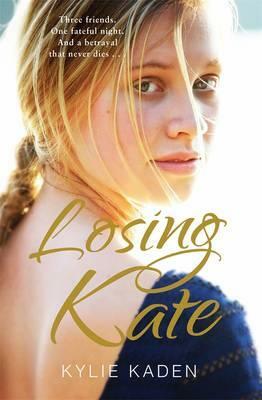 This entry was posted in Australian Authors, Fiction, Recommended Reading and tagged Australian Author, Kylie Kaden, Losing Kate, Parramatta Library by admin. Bookmark the permalink.